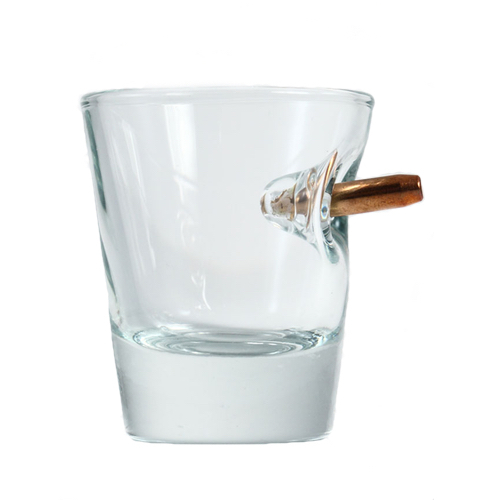 ​"Bulletproof" glasses make distinctive and thoughtful gifts. No hunting cabin, custom bar, or man cave is complete without. The bullet is fixed into the glass and will not come loose. Glasses are dishwasher safe, however, there may be slight tarnishing on the bullet from some dishwasher chemicals. 100% safe -No gunpowder -No exposed lead. Safe to drink and use.